What’s better than warm sugar cookies? How about hot chocolate cookie cups filled with fudgy frosting and topped with peppermint and marshmallows? These are perfect for those cold days when you want to curl up with a warm treat. 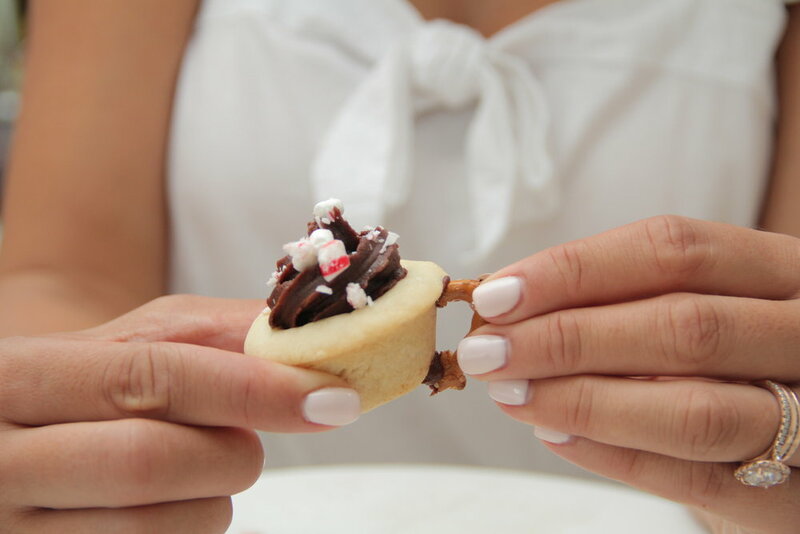 You guys know I LOVE making cookie cups, but these might just be the cutest creations yet! 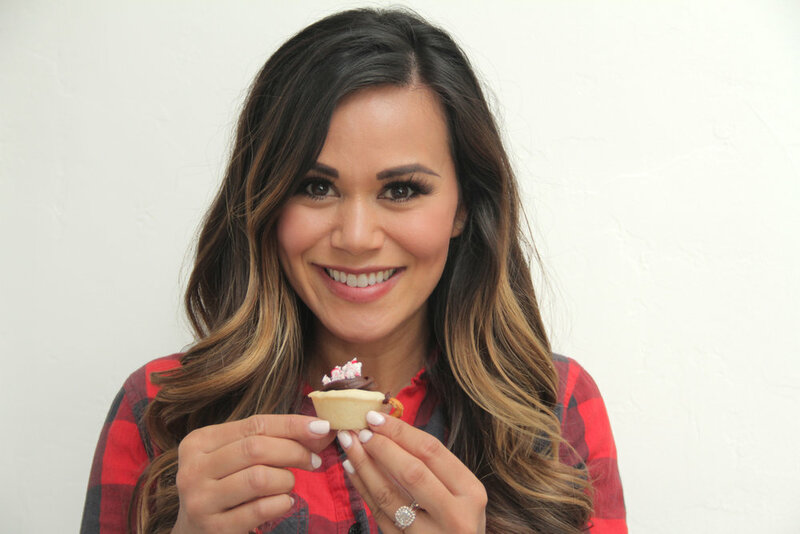 Watch how to make these adorable desserts below and then scroll down for the full recipe! FORM dough into 1 tablespoon size balls and press into mini muffin tin and up the side to create a cup. Repeat this step until you’ve filled each tin. Bake 10-12 minutes or until very light golden brown. Cool completely. 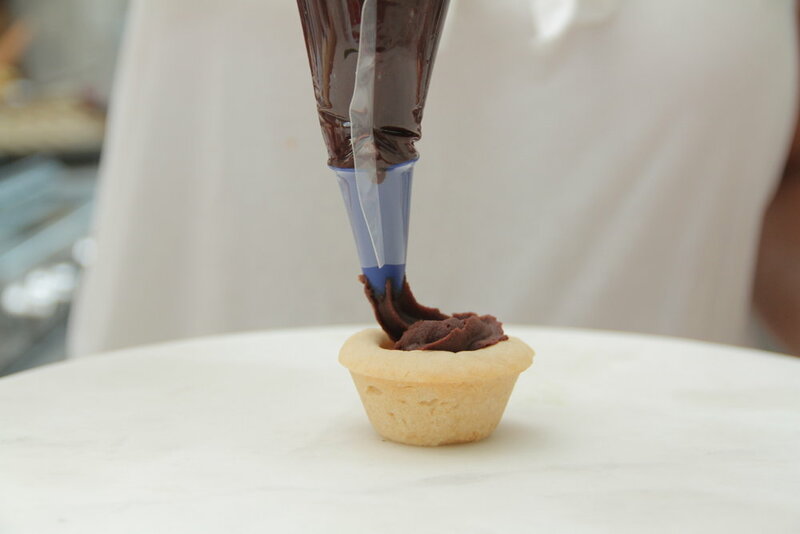 To decorate: Pipe chocolate frosting into cups. Sprinkle with peppermint and marshmallows. 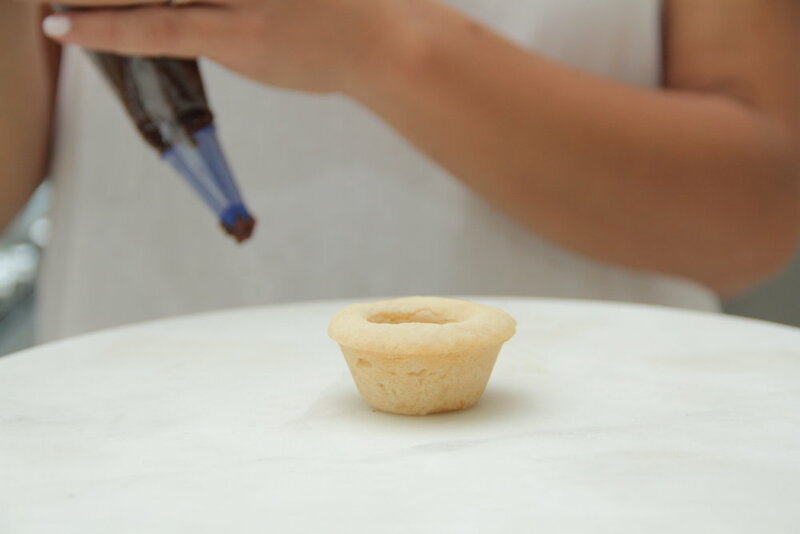 To create the handle: break off the loops from pretzels and attach to the sides of the cookie cups using chocolate frosting. 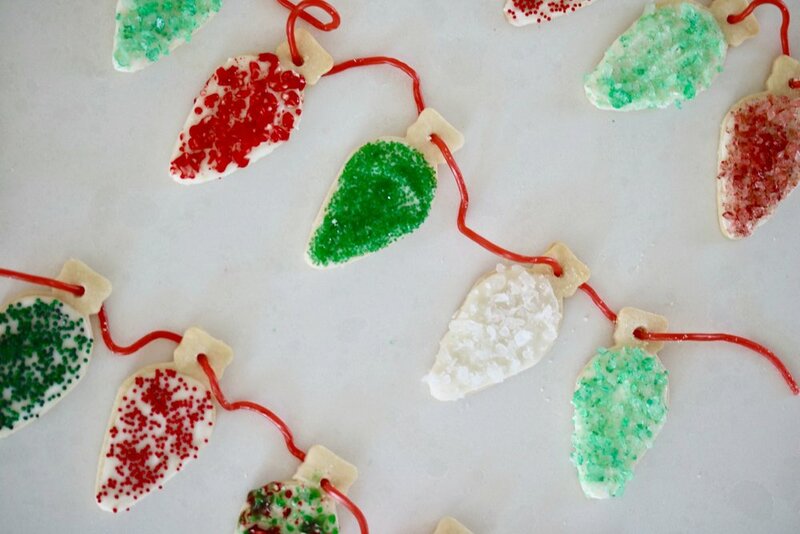 If you’re planning to make a bunch of different types of holiday cookies this season, give my Holiday Lights Sugar Cookies a try – they’re too cute. 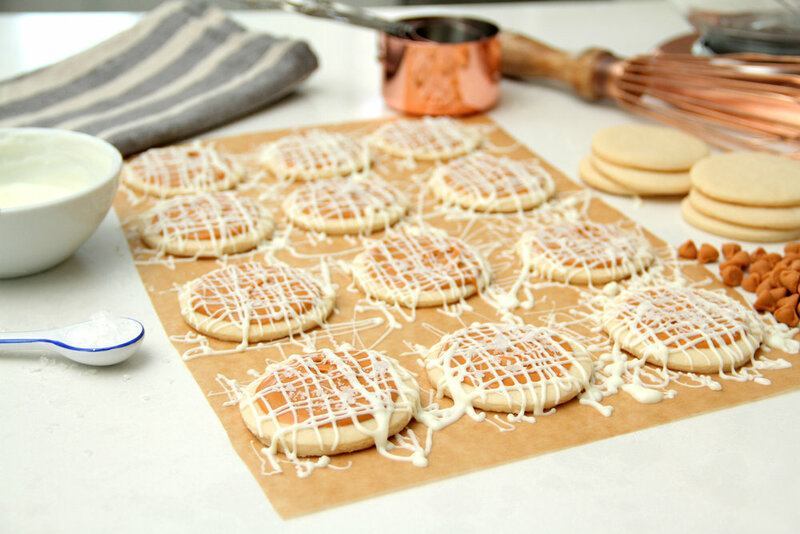 These fluffy sugar cookies are made with Crisco®All-Vegetable Shortening, topped with crushed candies and strung together with candy string. DIVIDE dough in half. Roll out each half on lightly floured surface to 1/4-inch thickness. Cut with light bulb cookie cutter. Place 2 inches apart on baking sheet. 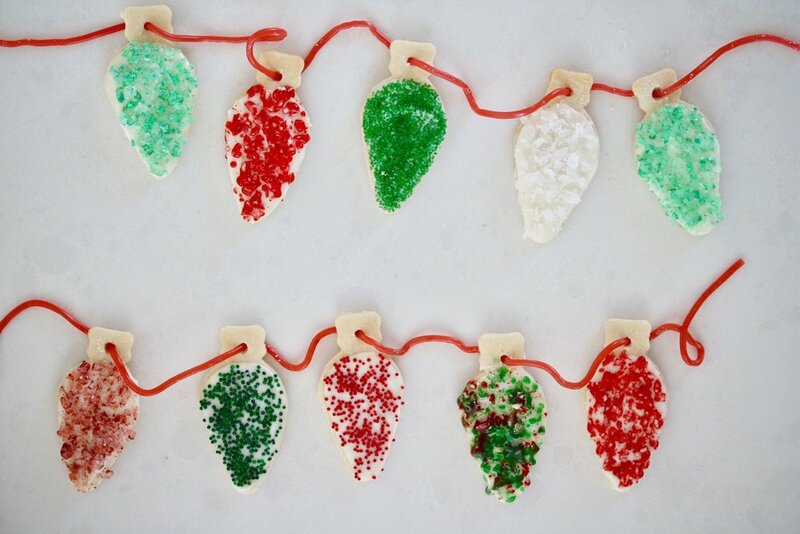 To decorate: frost cookies with white chocolate and sprinkle with candies and sprinkles while wet. Thread candy string through hole to connect.